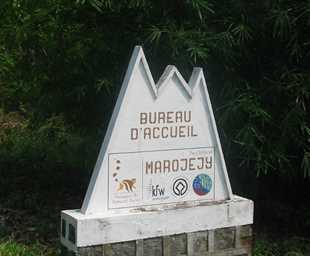 Marojejy is one of the most pristine rainforest areas left in the country and is an area of truly remote wilderness. Its landscape is made up of imposing mountains, rocky outcrops, cliffs and lush rainforests full of wildlife. Accessed from the town Sambava (Madagascar's vanilla capital), the park is the best place in Madagascar to see the silky sifaka, one of the world's most endangered primates, and also the iconic bird, the helmet vanga. The flora and fauna here is staggeringly diverse. Any trip here does require people to be reasonably fit due to the heat and arduous nature of the treks. Accommodation in the park is simple and made up of three camps located at various elevations along the route to the summit of the mountain, with the view from the top of the 2,132m peak being awe-inspiring. Trips here must be carefully planned and the best times to visit are April-May and September-December when there is less rain.